This is Part 2 of our interview with Dr. Jeff Meldrum. Click the following link for part one of the interview with Dr. Jeff Meldrum. Part one also has the complete audio of the interview with unedited audio. 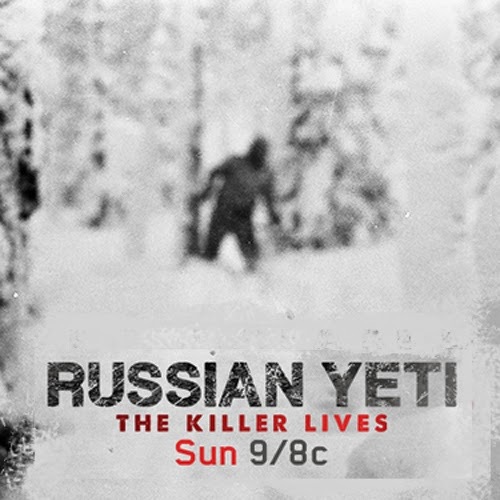 The Discovery Channel's 2 hour special, Russian Yeti: The Killer Lives, chronicles American explorer Mike Libecki as he investigates why nine college students hiked up the icy slopes of the Ural Mountains in the heart of Russia but never made it out alive. The students' bodies were found scattered across the campsite in three distinct groups, some partially naked and with strange injuries including crushed ribs, a fractured skull, and one hiker mutilated with her eyes gouged out and tongue removed. GE: So on Sunday June 1st Russian Yeti The Killer Lives airs on the Discovery Channel, can you tell us a little bit about your involvement in that show is? JM: Right, yeah well it was primarily from my spear of experience and expertise you know that the antidote or the incident described that did the basis for that title, which I had nothing to do with I’ll give a disclaimer right now, is an intriguing one and I was curious to discover that there is quite a cult of a following of this particular story and the various theories to what might have accounted for the outcome and you know the link to the Russian Yeti or Wild Man is a tenuous one at best but it is an intriguing one and you know it does raise this question of do these creatures pose any threat to modern humans when they venture out away from civilization into the wilderness you know there’s always the questions that’s raised about sasquatch and its behavior whether it is a threat whether it is antagonistic or predatory on people and a lot of discussion has been has ensued around that we have antidotal evidence some of the classic stories like that Bauman incident shared with Teddy Roosevelt. JM: Ape canyon incident in both of those particularized incidences the key element that is often overlooked or downplayed is the antagonism that humans directed towards the alleged creatures initially. GE: Absolutely, especially in the ape canyon incident where they were shot at. JM: Exactly and they thought they hit and even a dispatched one that had crumbled over the precipice of the canyon and likewise with Bauman they fired at a tall silhouette in their camp at night which screamed and ran off. It was only then that the mayhem ensued. So it raises an interesting question what is the relationship if any or did the Native Americans have traditions about child abduction or of abduction of women or men as well, hunters going missing for example and it raises that question of do these pose any threat to humans or are they simply the gentle giants as are gorillas perceived and even gorillas when antagonized when defending their troop will certainly be aggressive and antagonistic in return so I don’t think that behavior would be extraordinary or out of character for a large primate. GE: Yeah and I was surprised ‘cause in order to prepare for this interview I did a little bit of research the Dyatlov Pass incident, and I was surprised that there was so much information about this and I had never really heard about it before. Some people say these nine college students came to their demise due to a sudden change in the elements or a disaster like an avalanche. I guess one of the arguments against these scenarios were the footprints that lead away from the camp. Did you get a chance to look at these or have you heard about these prints? JM: Actually I wasn’t made aware of that and I guess I don’t know if they were documented or not at the time. The only tenuous link to the wild man that I was aware of and I guess we’re at liberty to talk about it at this point was the cameras of the victims were collected and the final photos were examined and one of those photos appeared to depict a very ghostly looking figure, upright figure sort, emerging from the tree line. Unfortunately I did not have the opportunity to examine that in detail or to do an analysis of that image. I was shown the picture on a little smart phone screen and it was certainly curious, it was interesting, I don’t know that the quality and the content would justify drawing the conclusion that this mayhem was brought by a wild man but never less this raises an interesting question what, if anything, was out there with them and the possibility that footprints had been found leading away from the scene might lend some further credence to that idea that hypothesis . GE: Well I really appreciate your time; I have one last question if I could. Im kinda curious what you would define as progress in bigfoot research. What would you consider progress? JM: Well I think the answer to that question is going to vary with the respondent as well as their position and their capacity to contribute. I think short of someone coming in with a body or with piece of one that is diagnostic and will once and for all conclusively demonstrate the existence. I think there are a number of steps; one that I think is very important is the one we eluded to earlier, the catch-up by the scientific community, the awareness of the evidence on its own merits and its implications for the potential existence for such species. And then of course with that awareness and with that increased level of open mindedness and interest, then I think there will be opportunities to marshal the evidence that does exist. I feel I am making progress by bringing the footprint evidence to the fore. We are working on getting the virtual footprint archive up this summer. I think the Relict Hominoid Inquiry, the scholarly online journal I’m editing, has gone a long way in the past two years. We have got a lot of attention, not a lot of high profile attention, but we can now direct people to published research that is going on. We continue to try and bring in qualified people. A lot of time when you read about the nature of science, or the paradigm shift of research, it takes a change in mind-set before a new concept gains a sort of traction. We are right at that stage where we are starting to get a little bit of traction, as a new generation of academics comes into position, where they are more aware of the story of Bigfoot. GE: Dr. Meldrum, every time I talk to you I feel like the state of bigfoot research is an encouraging one. Thank you for your time.